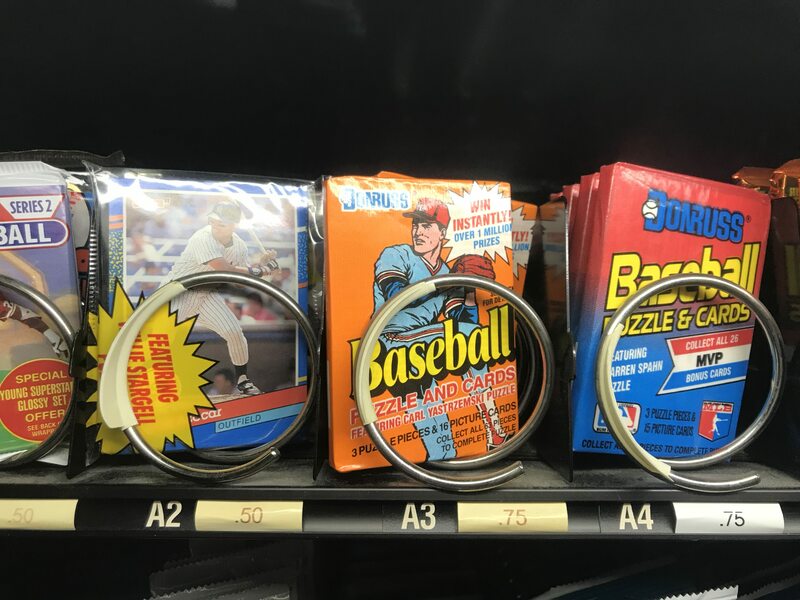 Blank/chip card in a vending machine pack? 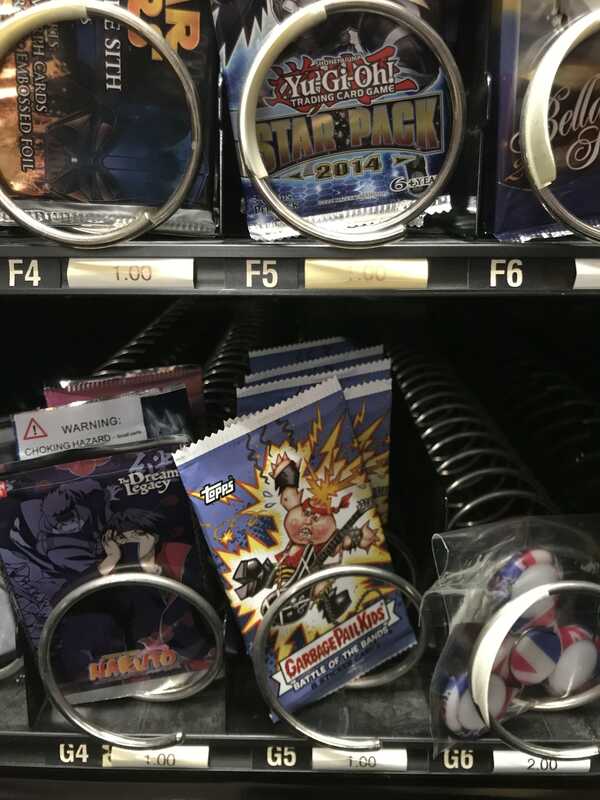 I bought 2 of the battle of the bands packs from a card vending machine at my local grocery store. One of them had this inside - anyone get this before? They are common in retail. Was this a ninth "card" in the pack? Or did they rob you of a proper GPK card? I've got these in target retail packs. Its not part of the card count and I believe its a security measure. Ah - you are correct. There were 8 cards and this. I don't know! Topps puts out so much and explains so little. Those white inserts are security tags, may be used to thwart pack-searching too. I’ve heard some artists use them to practice on too since they are standard card size. 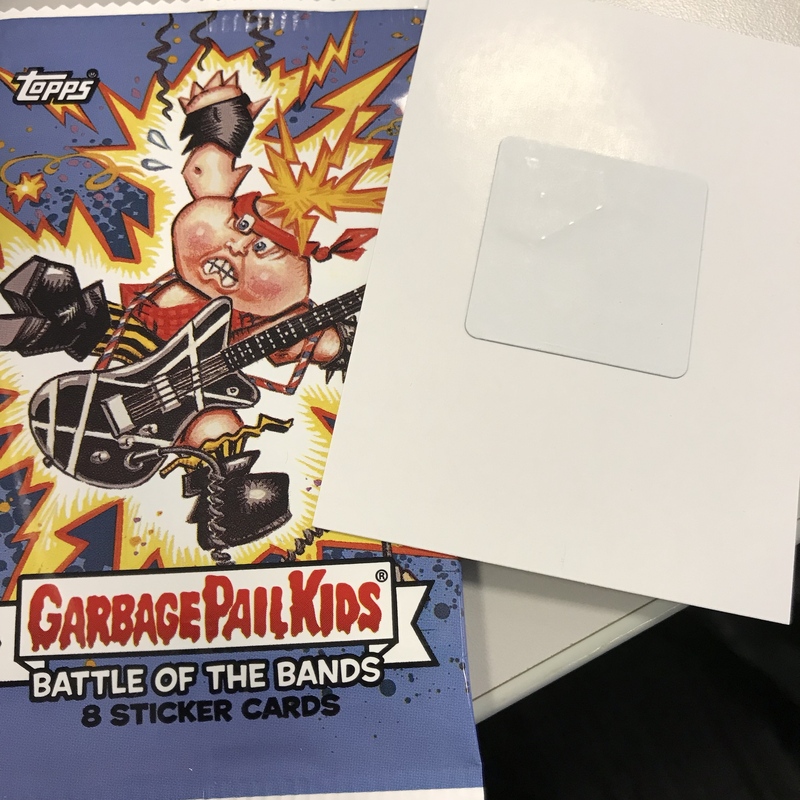 I heard if you peel that square white chip off the card and put it on your skin, you'll turn into a garbage pail kid. 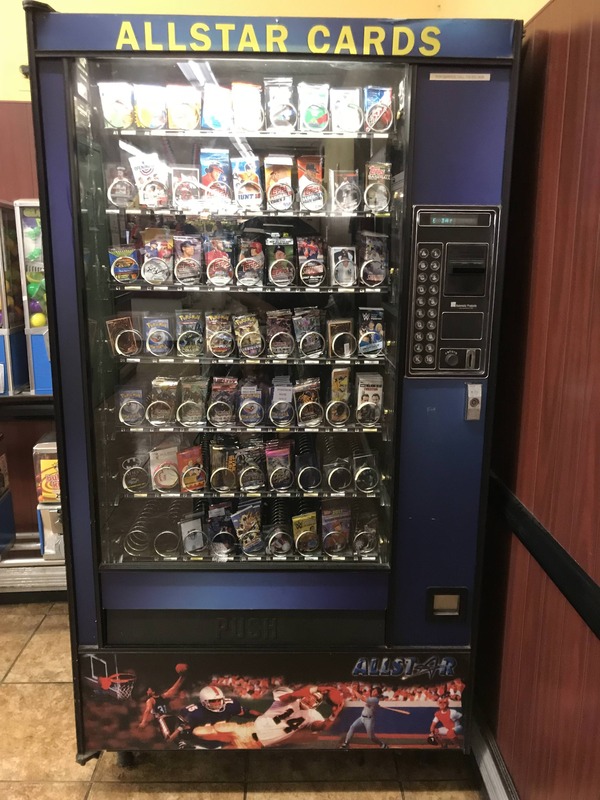 For LuCypher - here's some pics of the vending machine. Its inside the Key Foods supermarket in Astoria, Queens NY. Lots of different fun cards, new and some random old Topps packs. I've seen the GPK and Wacky Packages show up from time to time.